Say hello to Tiger Eye and Root Shadow! When a new season rolls around, one of the first words that comes to mind is “trends.” As we gear up for a change in weather, we look forward to the opportunity to switch up our look as well. This season specifically, there are two new trendy color looks already taking over social media: Tiger Eye and Root Shadow. Co-developed with French designer Vanessa Bruno and two L’Oréal Professionnel colorists, you’ll absolutely fall in love with these trending color techniques, each offering unique benefits. As the name suggests, tiger-eye hair color resembles exactly that- a tiger eye stone. It’s defined by a wide range of balayage highlights atop a warm or dark chocolate base, which creates a multi-dimensional look with depth and texture. Due to the many shades, which get blended together to create this look, you’ll want to keep the application to the professionals at James Geidner Hair Studio. 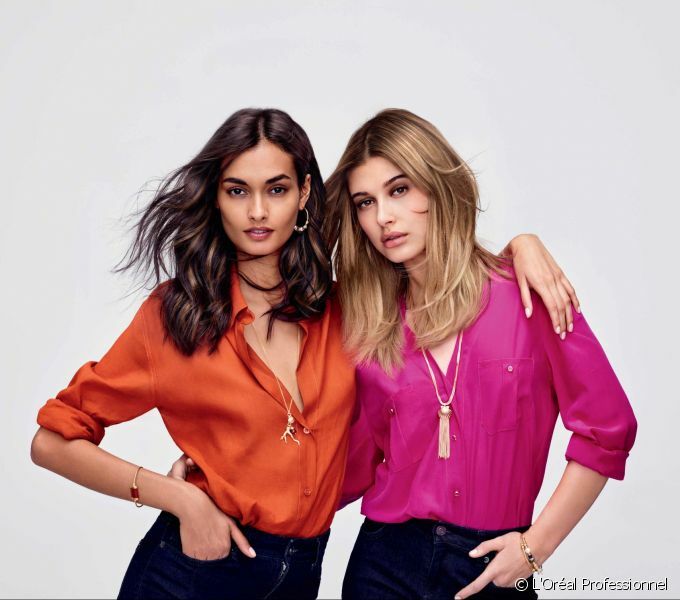 Our L’Oréal Professionnel colorists will know exactly which colors from the INOA line to use to create customized and utterly gorgeous tiger eye colors for your skin tone, style, and personality. Are you looking for a technique that creates depth at your roots? Look no further than root shadow, another fan-favorite color trend for the season. The process creates a soft contrast between the base color and the lengths. The easy-to-wear, lived-in look shows no harsh lines of re-growth and is super low maintenance. It is perfect for the gal who doesn’t have the time or desire for frequent appointments but still wants a bright blonde result. Tiger eye and root shadow may both be low maintenance looks, but that doesn’t give you a pass on proper hair care. In order to prolong the life of your color, you’ll want to change up your hair care routine and tailor it to color-treated hair. When washing your hair, be sure to do so with a shampoo formulated for color-treated hair, and always follow up with conditioner. For a little extra TLC, swap in a hydrating hair mask once or twice a week. Your products matter, yes, but so do your habits. If you have a tendency to crank up the water temperature while showering or abuse your blow dryer, you will want to tone it down. Hot water can strip your hair of natural oils it needs to look and feel its best, and heat tools can- as you probably already know- lead to damage and split ends. So go ahead and turn down the water temperature to lukewarm and take up air-drying to give your hair a break from the heat. Trust us, you’ll notice the difference in your hair.